Submit to WorldCard Malaysia online form. The most creative photo & touching LOVE message will win. 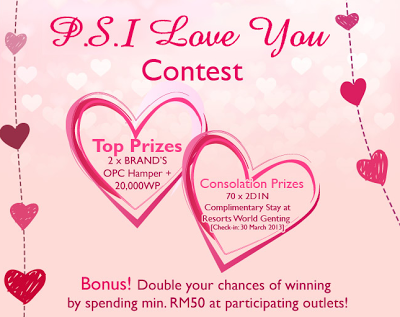 Double your chances of winning by spending minimum RM50 at participating outlets. Visit WorldCard Malaysia FB fanpage for more details.